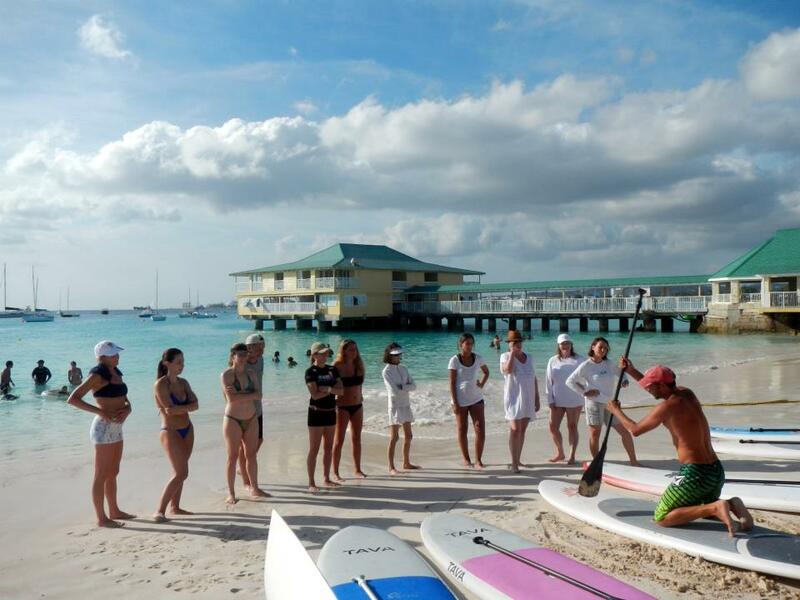 Learning to SUP in Barbados is a real treat with Jason and Sarah from Paddle Barbados. 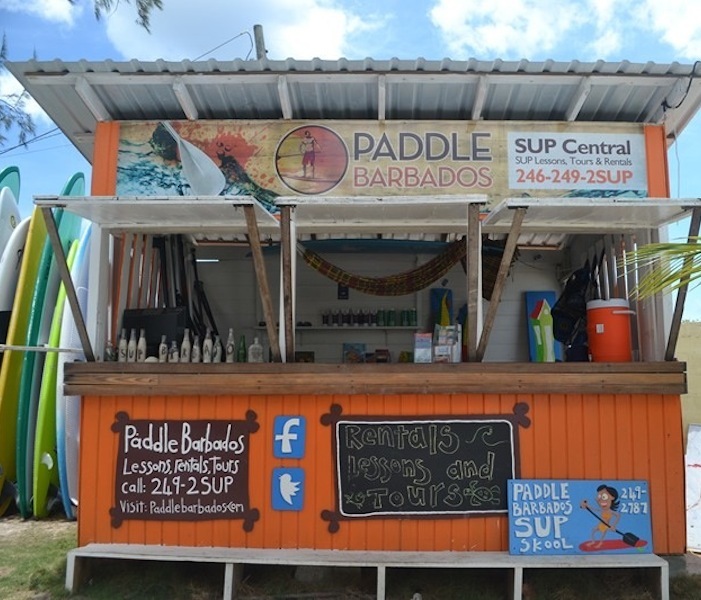 Paddle Barbados opened in March 2012 and has grown significantly since then. SUP has taken off around the world, and it was time for Barbados to join the fun. Paddle Barbados is bringing SUP to life on the island, as we build a fun and inviting SUP Community for locals, tourists, and anyone looking for an adventure and/or workout on the water. Instruction is done on Pebbles Beach, which lies on the beautiful Carlisle Bay. The bay offers easy access to crystal clear, calm blue waters and light offshore winds, and is an ideal location for first time paddlers. Not only is the bay perfect for learning, but it is also one of the most beautiful paddles on the island. Some of the highlights are sunken ships that are clearly visible in the clear water of the marine park, curious and friendly sea turtles and unique views of our capital Bridgetown. All beginner lessons begin with a 15-20 minute intro on land to cover safety and proper paddling techniques. In the water you apply what you learned on land, and once all paddlers are competent they head across the bay on a 2k paddle with an instructor closely monitoring and correcting SUP techniques. Close contact with the instructor ensures everyone’s safety. 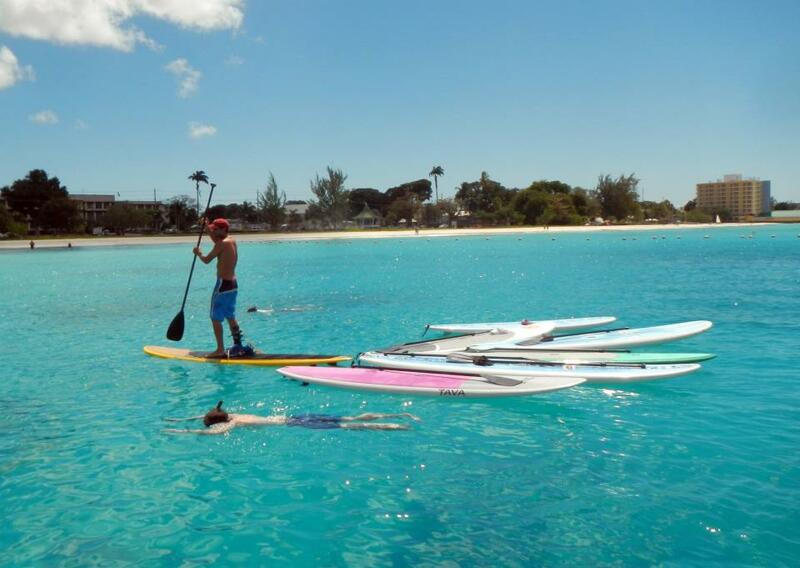 After one lesson with Paddle Barbados, you will be well on your way to being a SUP star. For more advanced riders, we offer SUP rentals that give paddlers the freedom to pickup a board and take it to various locations on the island. Paddling on the west coast (aka "The Platinum Coast”) offers views of the luxurious lifestyles of the rich and famous, and the beautiful sandy coves and shallow coral reefs that dot the shore. The South Coast offers great opportunities for downwinders and several SUP surfing spots to give you a taste of all the thrills that Barbados has to offer to the more experienced SUP enthusiasts. With simiple and safe instruction in the best locations Barbados has to offer, you will fully experience the SUP phenomenon in one of the most beautiful places on earth! Groups of 5 or more receive a discounted rate. Please inquire when booking. Delivery/pickup included on any rentals of 3+ days.